We are extremely careful with our clients’ information. Our site is completely secure and safe for all transactions. We accept all major credit cards as well as Paypal and Goggle Checkout to give peace of mind to our customers when shopping on our site. We know you value your privacy and we will always protect it with the most up to date online shopping technology. Don’t worry! The shipping/handling is on us, every day, every purchase, right to your door in the continental United States. The price you see is the price you pay. When a purchase has been accepted, we will send you a tracking code to know when to expect your new rug. Sorry, no delivery to P.O. Boxes. We do not want our clients to feel pressured. If for any reason an item is not right for you, ship it back no questions asked within 2 weeks of receiving it. We take our customers’ satisfaction very seriously and want you to be completely satisfied with your experience. 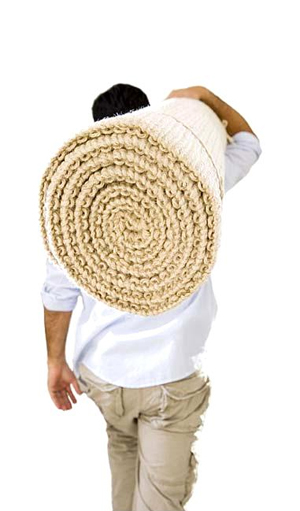 If for some reason the rug is not right for you, (and has not been soiled in your possession) contact us by email or phone and we will walk you through the steps of shipping back the item.